Red Dragon A-E, Green Dragon A-E Framed. each piece approx. 12" x 30"
one hundred and sixty dollars each. Hey there Alphabet Shoppers from April 1rst - 13th we will be back at our favourite coffee shop in town, Kahawa to show the wonderful letters you see below. Since we've had the pinch on us for a few weeks the price of letters has been reduced at Kahawa but you have to drop in to take advantage of these deals. 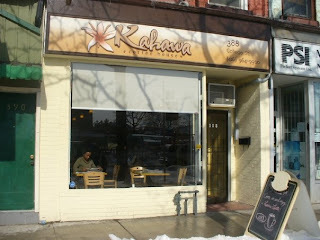 Kahawa is located just steps from the Cloak and Dagger, just east of College and Bathurst on the North side of College. There will be no reception for this sale, just contact me here if you want to meet up, you can buy direct from Kahawa with comfort and ease.